LOS ANGELES — Billionaire entrepreneur Elon Musk promised a cheering crowd on Thursday that his controversial dream of burrowing a high-speed network of "personalized mass transit" tunnels under Los Angeles could be achieved without disturbance or noise at the surface. Musk, the Silicon Valley high-tech tycoon who founded Tesla, also said he would offer free trips through the first two research tunnels he completes to get public feedback before proceeding with a larger system. "Like a weird little Disney ride in L.A.," Musk, casually dressed in denim, said to laughter and applause. Eventually, he said, a ride in the completed tunnel system would cost $1, and transit time from LAX to downtown would be 8 minutes. Known for aggressively taking on large-scale technical challenges with which he has had little previous experience, Musk ended his pitch on a humble note, telling the audience that realizing his vision "could only happen with public support." The performance marked a rare personal appearance for Musk at such a public event, a town hall-style gathering attended by about 700 people at the Leo Baeck Temple, a synagogue in the city's affluent Bel-Air district, where Musk owns a residence. Joining him on stage was Steve Davis, a top executive at Musk's aptly named underground transit venture, the Boring Company. Musk's celebrity status preceded him, as some visitors pushed and shoved their way into the crowded hall before the event began. Half-joking that he was late because of heavy traffic, Musk received a rousing welcome as he arrived, and a standing ovation at the end of the hour-long session. But Musk denied trying to take any shortcuts, saying even with the waiver, Boring faces "600 pages of permits that would be required for this tunnel." He added he has every intent of submitting to a full environmental study for the tunnel network as a whole when the time comes. "You won't hear us, you won't feel us, you won't even know we exist," Davis said. 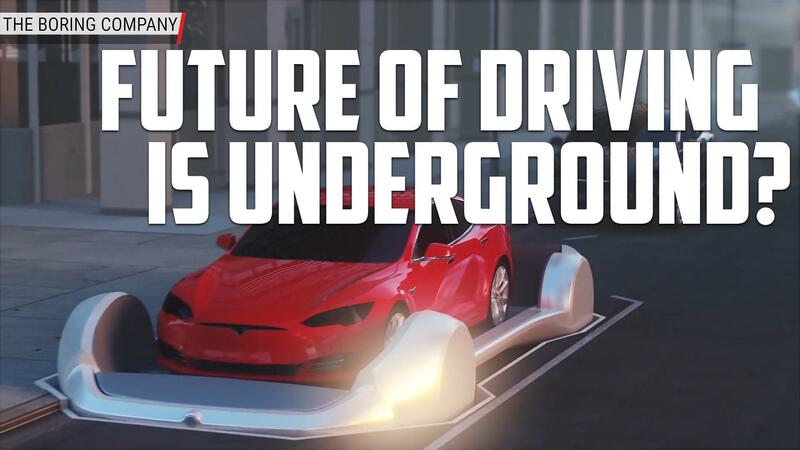 Musk said the first two tunnel segments would serve as proof-of-concept sites to demonstrate ideas for a traffic-easing network of subterranean tubes whisking 16-passenger "pods" and individual cars from place to place at high speeds. Musk launched his foray into public transit after complaining about traffic on Twitter in late 2016, vowing to "build a boring machine and just start digging." In one apparent gain announced earlier, the Los Angeles transit authority voiced support for Musk's tunnel ambitions, tweeting that the agency and Boring had a "great meeting" on Thursday and would "be partners moving forward."